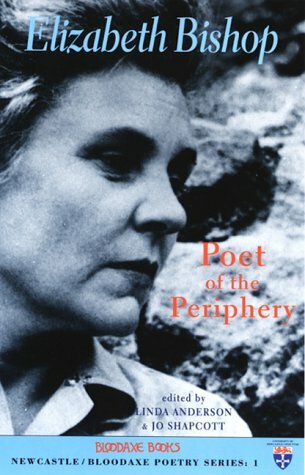 Elizabeth Bishop (1911-1979) at the time of her death was respected as a "writer's writer" on account of her technical mastery and exemplary patience and dedication to her craft. Since then her reputation has risen steadily until she has become one of the major figures of 20th century American poetry. She was born into a comfortable home in Worcester, Massachusetts, her father being a business executive with a successful family-owned construction firm. However, this security disappeared with the death of her father when Bishop was only 8 months old, and the subsequent mental illness of her mother who was permanently institutionalised in 1916. Though her mother lived in an asylum until 1934, Bishop never saw her again. She was brought up by a succession of relatives, firstly by her maternal grandparents in Nova Scotia, under whose care she was largely happy, then by her paternal grandparents back in Worcester and finally by her paternal aunt in whose home Bishop remained for the rest of her education. In 1929 she entered Vassar College where she began writing in earnest and where she met the older and already distinguished poet, Marianne Moore who became the first of several poetic friends and mentors. Bishop's early experience of dislocation was a pattern repeated throughout her life: the title of her third collection, Questions of Travel (1965), could stand as an epigraph for a lifetime of wandering. After graduation she travelled widely in Europe and North Africa, living off the small family legacy, before finally settling for several years in Key West, Florida in the first of the "three loved houses" mentioned in her famous villanelle, 'One Art'. During this period she met Robert Lowell who was to become her closest literary friend and a significant influence on her work. The post-war years saw the publication of her first collection, North and South (1946), which was well-received, but despite this success Bishop again felt displaced. She also began to drink heavily, a problem she battled with intermittently for the rest of her life. A travel scholarship from Bryn Mawr College ended this period of aimlessness and she set off for South America, landing in Brazil in 1951. A stay of a few days turned into seventeen years after she met Lota de Macedo Soares. Lota, a clever, wealthy socialite and practising architect, offered Bishop a home north of Rio, something which Bishop later said "meant everything to me". Freed from financial worries, and in a loving relationship, this was one of the happiest and most productive periods of Bishop's life. Even so progress on her own work was characteristically slow to the extent that in 1955 her publisher decided to re-issue North and South together with some new work. This volume, called North and South - a Cold Spring (1955) was awarded the Pulitzer Prize. Growing political instability in Brazil coincided with a period of professional pressure for Lota and the relationship came under increasing strain. Bishop accepted a term of teaching at Washington University, where she began an affair, and this was followed by a move to New York for another teaching job. Lota visited her there in 1967 but on the first night of their reunion she got up in the small hours and took an overdose, dying a week later. Bishop was devastated, the trauma prompting a final move back north when she accepted an invitation from Lowell to teach at Harvard. Her personal and creative life began to recover when she met the second great love of her life, Alice Methfessel, the dedicatee of Bishop's final collection Geography III (1976). Never one to seek the limelight, Bishop's profile nevertheless increased in these final years as she began to give more readings and her poetry was more widely recognised. As well as the Pulitzer, she was awarded a National Book Award, National Book Critics Circle Award, as well as two Guggenheim fellowships. In 1976 she became the first woman to receive the Neustadt international Prize for Literature. Bishop died from a brain haemorrhage in Boston in 1979. 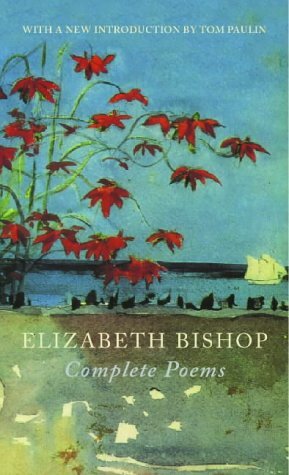 Despite her admiration for Lowell, Bishop always remained defiantly non-confessional, focusing instead with great subtlety and tact on her impressions of the physical world: as Randall Jarrell, a perceptive early critic, commented "all her poems have written underneath, I have seen it". Her experience of widely differing landscapes provided Bishop with a wealth of powerful imagery, while her rootlessness and lack of political and religious beliefs give her poems a kind of pure self-reliance. She resists cynicism, while looking at the world with a gaze not unlike the piercingly cold northern waters she describes in one of her most famous poems, 'At the Fishhouses' which you can listen to here: "dark, salt, clear, moving, utterly free". 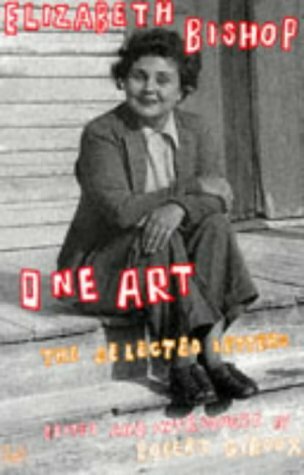 Her Archive poems include 'Roosters', an early masterpiece which was significant in her career as it marks a move away from the influence of Moore; she advised Bishop to cut the phrase "water-closet" from the poem as she thought it vulgar but Bishop, trusting her instinct in the power of the ordinary, kept it in. The poem itself is a virtuoso performance, each triplet having only one rhyme, a pattern sustained over 44 stanzas. This gives the poem an insistence which echoes the aggressive, intrusive nature of the roosters themselves. This recording features a young light-voiced Bishop, while the other poems here, recorded in front of a live audience at the Library of Congress, come from the end of her career. By then a well-known and lauded poet, Bishop still comes across as shy and self-deprecating, at one point telling her audience that the ending of 'The Filling Station' "will have to be changed". Her delivery is modest but still conveys the precision and beauty of her poems. Particularly moving is her quiet recital of 'Crusoe in England', her monologue of isolation which recalls her words to Robert Lowell: "When you write my epitaph, you must say I was the loneliest person who ever lived." 'Roosters' was recorded on 17 October 1947 at ABC Studios in New York. The remaining poems were recording on 15 April 1974 in the Coolidge Auditorium, Library of Congress, Washington, D.C.
Lowell stormed the literary world; while Bishop orbited its periphery. On closely reading their collected letters, a poet and critic uncovers a new way to read their mythologized friendship. Previously unpublished letters between Robert Lowell and Elizabeth Bishop. 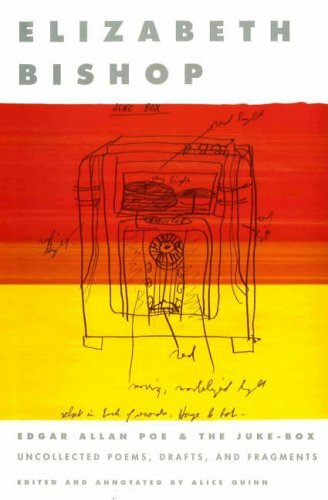 Peter Sacks finds common themes between the paintings of Edward Hopper and the works of poets such as Robert Frost, Elizabeth Bishop, and TS Eliot.